The Network of Sacred Heart Schools develops and offers programs for students in line with the Goals and Criteria. 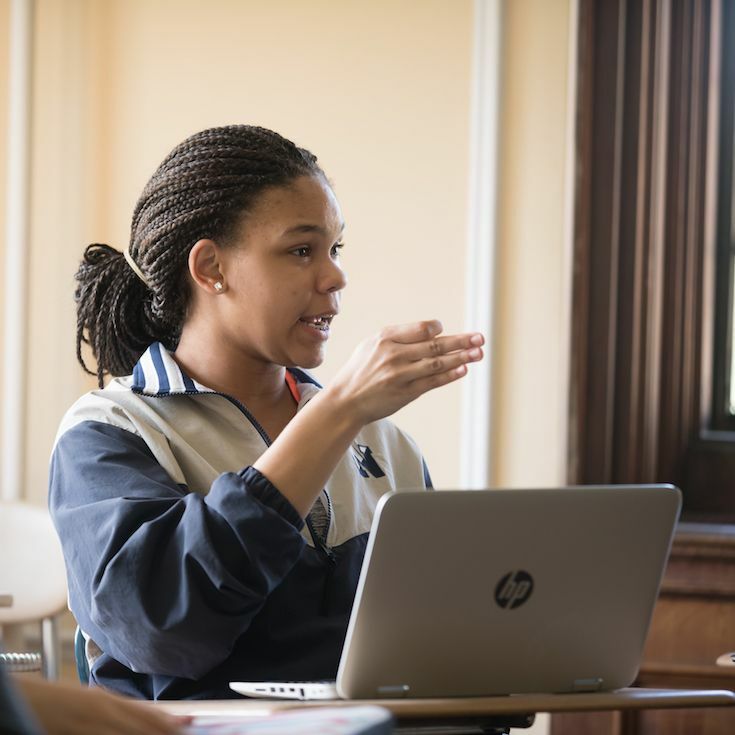 Network programs build upon the formational opportunities offered in each of the 24 schools, but allows students to connect across the Network and around the world. A particular emphasis is programming in the areas of student leadership, communication and dialogue skills, faith and spiritual development. The Network is currently developing a two-year cycle of programming for Middle and Upper School Students. In alternating years, students from each division will have the opportunity to experience either a Leadership Development Program (September) or a student-version of Roots That Give Us Wings (March). The Student Leadership Program will focus on the skills and characteristics of leadership in a Sacred Heart School today. Through large and small group discussions, role plays and other interactive activities, reflection and pray, Network students will enhance the skills they already possess, develop new leadership talents, and build community across the Network. The Student Leadership Conference will cycle among a variety of locations across the Network. The first Student Leadership Conference will take place in September 2019 at the Bishop Claggett Conference Center outside Washington, DC. The first conference will be for Upper School students. In September 2020, Middle School student leaders will gather at the Loyola University Retreat and Environmental Ecology Campus outside Chicago. Roots for Students focuses on introducing students in Sacred Heart schools to our “Founding Mothers” – Saint Madeleine Sophie Barat and Saint Rose Philippine Duchesne. Roots is an opportunity for students to learn more about the history and values of Sacred Heart education, while also visiting the original sites of Sacred Heart education in North America. Students will share traditions from their own Sacred Heart schools while learning more about schools in Canada, the United States and around the world. Roots That Give Us Wings is hosted at the Pallottine Renewal Center in Florissant, MO, just outside Saint Louis. The in addition to sleeping rooms, a dining room, chapel, and meeting space, the facility has an indoor pool and gym for student use. The next Student Roots program will take place in March 2020 for Middle School students. Roots for High School students will take place in March 2021. List of Student Programs 2019-2021. We invite high-school student leaders and faculty/staff mentors to join us at Woodlands Academy for a two-day dialogue training on April 8-10, 2019. This training will equip students with the skills to navigate differences in ways that lead to greater understanding rather than conflict and division. To register and for more information, visit this page. Sacred Heart students are part of a network of schools that includes not only Canada and the United States, but schools in 30 countries around the world. A Sacred Heart Youth Assembly, bringing together students from across the world, will take place in Nantes, France between June 30 and July 13, 2018. The hope is to develop and offer creative and engaging programming at the local, regional and international levels that will serve students in their time at Sacred Heart and throughout their lives.